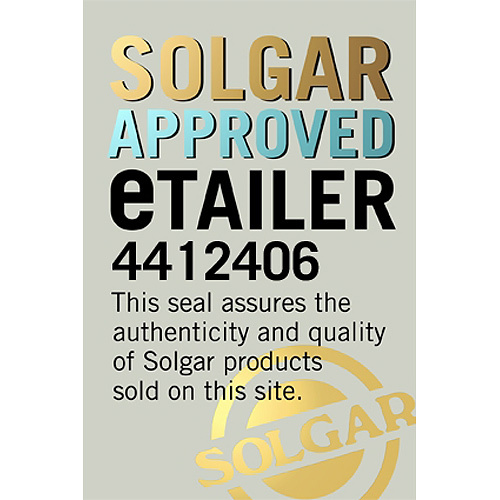 In stock -This product will ship today if ordered within the next 1 hours and 52 minutes. 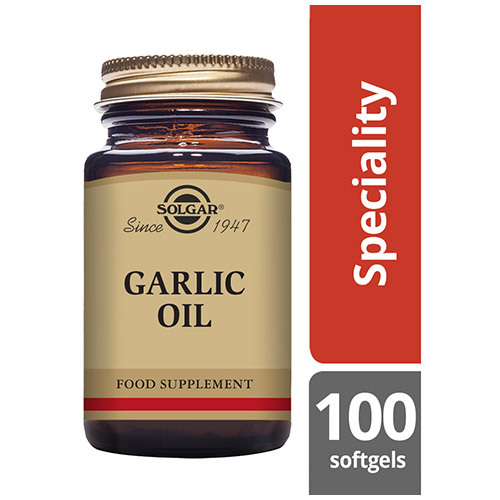 Solgar® Garlic Oil Softgels contain garlic oil concentrate equivalent to 500 mg of fresh garlic cloves. Garlic is part of the onion/allium family and one of the oldest and most used ingredients in the world. This culinary herb has been used for several thousands of years with a history of several thousand years of human consumption and use. It was known to ancient Egyptians, and has been used both as a food flavoring and as a traditional medicine. It is traditionally used in Ayurvedic and Chinese medicine for its antifungal, antibacterial and antiviral qualities. 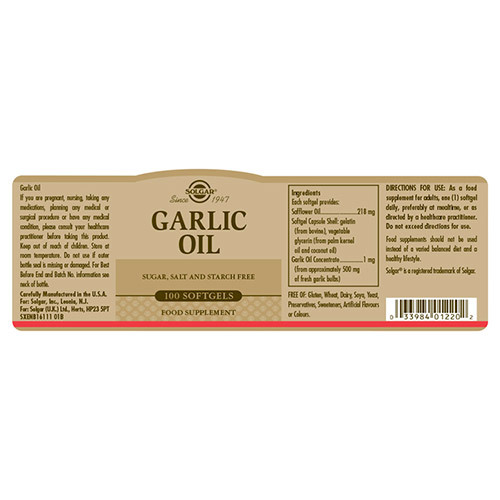 Using garlic oil on a daily basis will aid to your total wellbeing. This remarkable ingredient contains antioxidants, which contributes to the protection of cells from oxidative stress and damage caused by free radicals. Free radicals are formed when we convert our food into energy, or when we are exposed to air pollution and ultraviolet light from the sun. Garlic may help contribute to normal immune function. Solgar® Garlic Oil is one of Solgar’s premium botanical extract range products, to be taken once a day in softgel form. As a food supplement for adults, one softgel daily, at mealtime, or as directed by a healthcare practitioner. 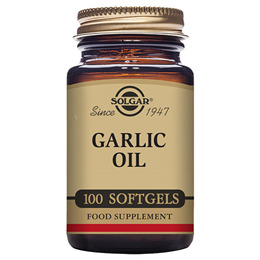 Below are reviews of Solgar Garlic Oil - Reduced Odour - 100 Softgels by bodykind customers. If you have tried this product we'd love to hear what you think so please leave a review.